Bob Cornell and Marietta Meyer are teaching a course for loved ones of people with mental illness at Silver Hill Hospital in New Canaan, Conn. starting on March 19, 2018. NEW CANAAN — Eight years ago, Marietta Meyer was struggling. She was struggling to connect with her adult daughter, who has a mental illness. She was struggling to find resources to help her. And she was struggling with feeling alone in her situation. Then Meyer found a local “Family-to-Family” course conducted by the National Alliance on Mental Illness. The free 11-week course offers guidance to friends, family and partners of adults living with mental illness and is designed to offer support and education, as well as encourage advocacy among its pupils. Meyer was so inspired by the course, she immediately became trained to be a teacher and later became a board member for NAMI’s Southwest Connecticut chapter. Now Meyer and Bob Cornell, another board member and instructor of six years, will lead the first Family-to-Family course in New Canaan. The course, which is free, will take place at Silver Hill Hospital and kick off on March 19 at 7 p.m. Each session is an hour-and-a-half and is available to anyone with an adult in their life with mental illness. Cornell, a Stamford resident, and Meyer, a Norwalk resident, said they’ve seen daughters, sons, parents and even close friends take the course. Family-to-Family will be offered on Mondays from 7 to 9:30 p.m. beginning March 19. The free course will take place at Silver Hill Hospital, 208 Valley Road in New Canaan. To register, call Bob Cornell at 203-849-9573 or Marietta Meyer at 203-329-8633. The course addresses the specific difficulties of being close to an adult with mental illness, including how to get them help from their doctors, to create a “crisis” plan and to deal with law enforcement. 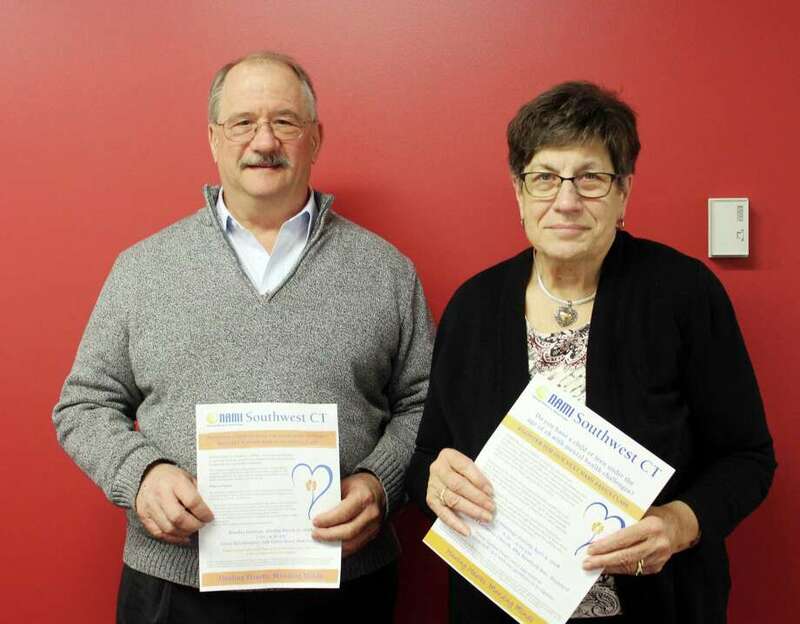 Participants, who come from all over Connecticut and New York’s Westchester County, have loved ones with a variety of mental illnesses, from severe anxiety to schizophrenia. The class also helps create a sense of kindred-ship among members, many of whom feel isolated in their situation. The course teaches members to break down the stigma surrounding mental illness as well. Cornell and Meyer said they’ve seen many class members go on to advocate for better mental health care, even going to Hartford to advocate in front of state legislators. In addition to providing support, the course teaches exercises in empathy and to keep a journal to track loved ones’ behavior and what questions to ask the doctor. Most importantly, it teaches participants to look past their loved one’s mental illness.